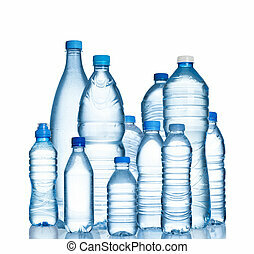 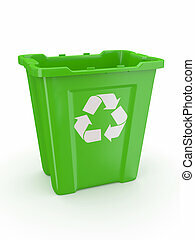 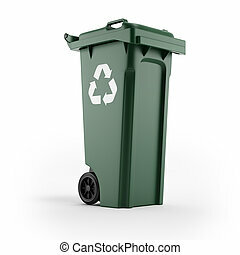 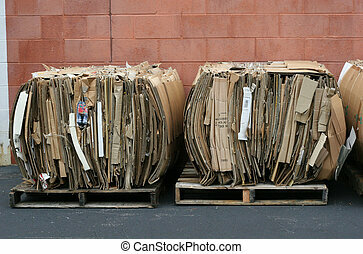 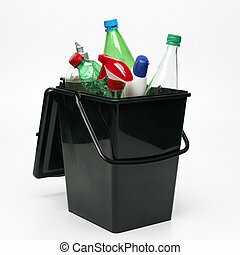 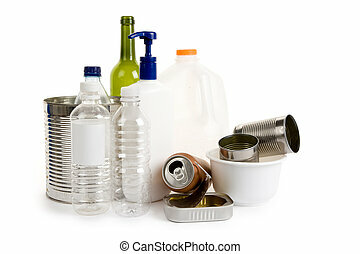 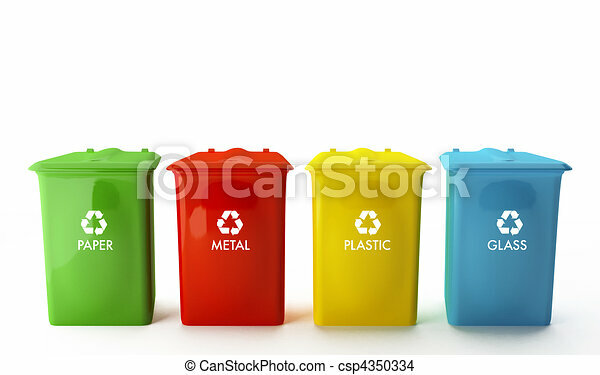 Containers for recycling. 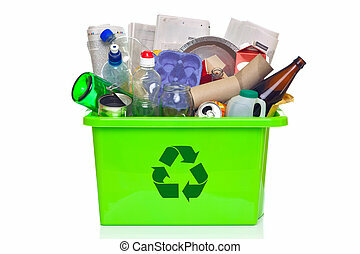 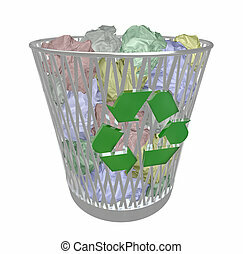 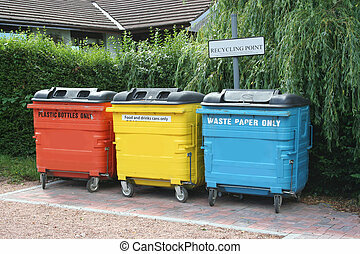 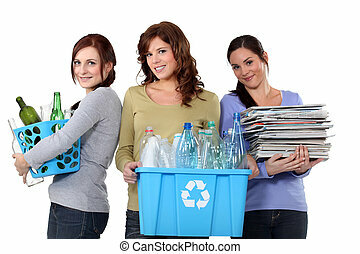 Four containers for recycling paper, metal, plastic and glass. 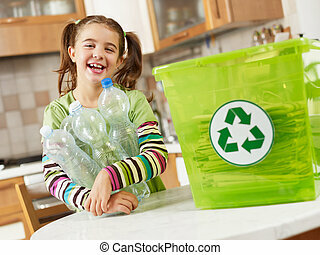 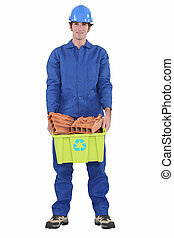 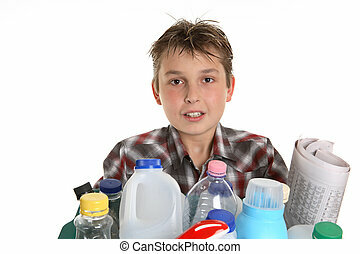 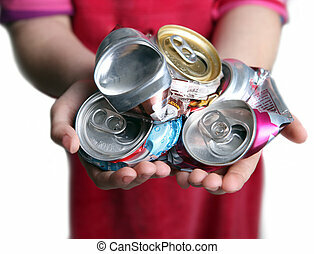 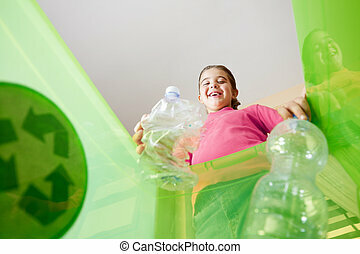 Boy holding a selection of recycling objects.